Psychologists say it takes as little as seven repetitions of a certain activity such as smoking or imbibing alcohol on a daily basis for it to become habit forming. Now there is a new temptation which has become more potently addictive than even cigarettes or alcohol for people of all walks of life all around the world. Not only that, many of the addicts are children under the age of ten. The new addiction is the constant checking and playing with smartphone devices. In recent research conducted by the Center for Internet and Technology Addiction, researchers found that 91% of respondents could be classified as overusing, abusing, and overly dedicating themselves to the use of their smartphones. The first signs to determine smartphone device abuse is whether or not the respondent checks the phone right before they go to bed, if they habitually play video games on their device late into the night, and if the smartphone is the first thing they check in the morning when they open their eyes. It’s the same hard to break habit that many nicotine addicted smokers have. Research has also shown that stimulating the brain late at night when it is preparing for sleep can create restlessness and persistent insomnia. One only has to walk the streets or wait in a subway of any city in any part of the world to witness the face down, eyes glued to the smartphone problem first hand. People now use their smartphone very much like a drug. They are bored so they play with the phone. They’re tired, so they pick up the phone. They feel anxious they haven’t heard from someone so they absent mindedly check the phone. They’re angry, so they soothe themselves with a video game on the phone. Back to cellphone addiction, and there is no question that the smartphone has replaced the need for human social interaction in many instances. It’s easy to avoid and deflect uncomfortable social situations by pretending to be consulting your smartphone. It’s also becoming easier and less inhibiting for hundreds of thousands of people around the world to converse not via the spoken word but via Wattsapp or Viber or one of the other many instant free messaging apps that are readily available. As a direct result of the power of these apps, network providers have been forced to offer what was once one of their biggest profit earners, the text message, as a free unlimited option. The second more serious phase of cellphone addiction is when it starts to impact on day to day life, whether it be in the car, at the office or at home. 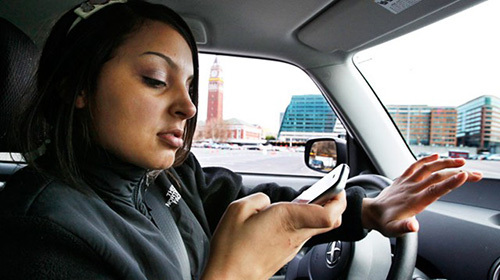 98% of respondents to the research conducted by the Center for Internet and Technology Addiction admitted that texting while driving is dangerous, however nearly 75% admit to having done it. It’s a fineable offence in many countries, but every year several horrific accidents are caused by drivers driving and consulting their cell phone, with an inevitable lack of attention to the road. At the office too much time on your smartphone can mean you miss deadlines or fail to pick up on instructions given to you, while at home, you know the smartphone is ruling your life when you just want to come home, flop in a chair and play a game rather than talk to your partner or your kids. 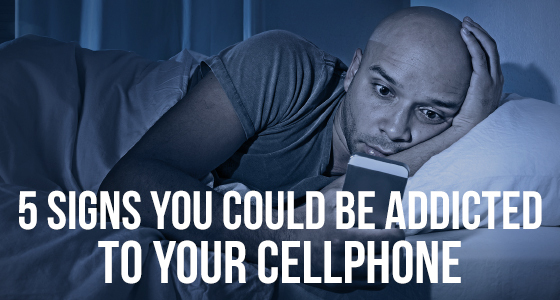 Are you addicted to your cellphone? 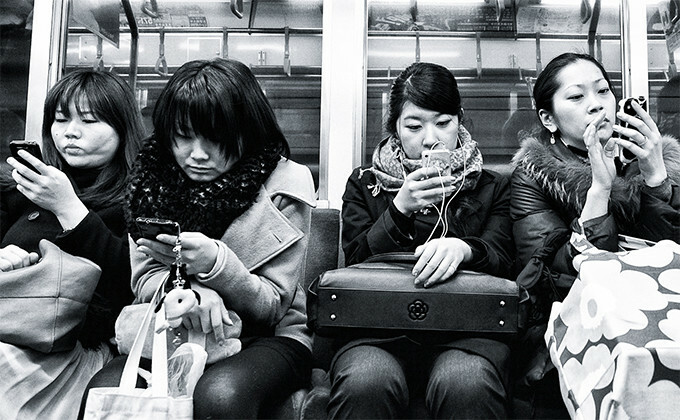 Do you have any of these compulsive cellphone habits? The first step to a cure is admitting to them. We’re glad to inform all our customers that UnlockBase server is now able to unlock iPhones 2G / 3G / 3GS and 4 from 3 Hutchison Australia Network !! The unlock is full and complete, no more x-sim, turbo-sim, jailbreak and other stuff that can damage your phone. Just give your IMEI to UnlockBase, put a SIM from an unsupported operator, connect to iTunes and perform the security update and your iPhone will be fully unlocked ! We’re glad to inform all our customers that UnlockBase server is now able to unlock iPhones 2G / 3G / 3GS and 4 from Virgin Mobile and Optus Australia Network !! The unlock is full and complete, no more x-sim, turbo-sim, jailbreak and other stuff that can damage your phone. Just give your IMEI to UnlockBase, put a SIM from an unsupported operator, connect to iTunes and perform the security update and your iPhone will be fully unlocked ! Vodafone Australia service is Back! We’re happy to inform our customer that we finally find a new supplier to Unlock Vodafone Australia cellphone. 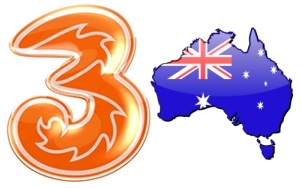 Service work for all Vodafone from australia including Nokia BB5, SL3 and Apple iPhone ! Turaround : 1<>2 days for delivery. if you find cheaper or have large quantity, just contact us by e-mail to negotiate better rates ! We’re pleased to inform that we just add today a new service to get unlocking code by IMEI for all phone locked on Three (3) Mobile Australia. We’re beta testing this service for the next 10 days as it’s a new supplier we never deal with in Past. So far we just try with one Nokia N97 and code work fine. Advertised time for delivery is 24<>72 Hours. All models are supported except iPhone. All our price are negotiable if you find cheaper with one of our competitor ! Samsung from Australia Supported !